Changing Culture in Robotics Classrooms (CCRC) is a three year project supported by the National Science Foundation that begins September 2015 and runs through June 2018. The CCRC project will use a combination of robotics competition activities, a modified autonomous only competition that we will design each year, and curriculum and training from the Carnegie Mellon Robotics Academy designed to help teachers to teach programming in their robotics classrooms. We are currently conducting two experiments. Click the links to the left to learn about the experiments. Changing Culture in Robotics Classroom’s Project Goal is to develop and test curricular materials that extend robotic curricula’s ability to teach computational thinking (see table 1). The Carnegie Mellon Robotics Academy will post new materials online as we have done in the past (ROBOTC Graphical for VEX IQ, ROBOTC for VEX Cortex, ROBOTC Graphical for MINDSTORMS, ROBOTC for LEGO MINDSTORMS, and Introduction to Programming LEGO MINDSTORMS EV3,), enabling all teachers to take advantage of the lessons that we develop. Our goal is to develop robotics curriculum that integrates the emerging Computer Science Principles concepts into your robotics course. Students and Teachers that participate in the project have the opportunity to earn a Robotics Programming Certification. 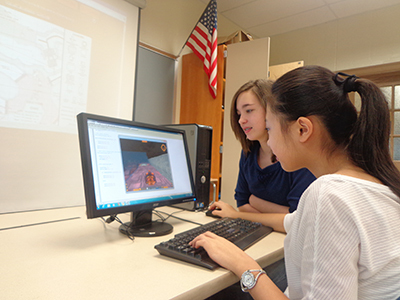 In the CCRC project, our research is testing the ability of badges and certifications to motivate students to learn computer science concepts in robotics classrooms. Students and teachers that complete the course materials and pass the checkpoint tests will have the opportunity to earn a Carnegie Mellon Robotics Academy Robotics Programming Certification. Students that are led by “Certified Teachers” will be able to earn a higher-level certification. Certified Teachers will have the opportunity to track their students’ progress using our Learning Management System. In the 2014-2015 school year, our focus is on testing and improving entry-level curriculum for new programmers. The programming environment that we will begin testing with is based around the new ROBOTC Graphical Interface. Students and teachers can join the project at any time during the school year by signing up at this link: www.robotc.net/vexiq. Table 1. Changing Culture in Robotics Classroom’s projected year-long classroom schedule. Activity Robotics Competition (this could be an official competition or a teacher led in-class competition) Modified Autonomous Competition (MAC) CS Principles Robotics Unit (CSPRU) - This Unit is scheduled to be developed during the spring and summer of 2015. It will be tested locally in the fall of 2015 and be ready for national implementation in Spring 2016. This video is a demonstration of the new virtual GPS capability in Robot Virtual Worlds. The GPS values are available in ROBOTC and can be used to control the behavior of the virtual robot. This year's Modified Autonomous Competition is the VEX IQ Beltway competition which is based off of the VEX IQ Highrise challenge. There are two modes: a 5 Minute mode, and a 2 Minute mode. *ROBOTC will work on a Apple/Mac computer with most Windows Virtualization/Emulation software packages available today including Apple’s Boot Camp, Parallels Desktop, and VMWare Fusion. Once the software is installed, the ROBOTC installation and usage is exactly the same as it would be on a normal Windows PC. Please see your software's documentation regarding connecting your USB devices to your virtual environment. If you are still unsure, both the ROBOTC and Robot Virtual Worlds software come with free trial periods for you to evaluate. If you have additional questions please email Robot Virtual Worlds support. The National Science Foundation Changing Culture in Robotics Classrooms project’s goal is to integrate significant computational thinking practices into traditional robotics education curricula and activities. The Spring 2015 In School Experiment works with 10 middle school level Pittsburgh classrooms. All teachers and schools involve in the experiment have agreed to the "Load Bearing Conditions" (LBC) agreement. LBCs are designed to insure that all stakeholders in the experiment understand what they are agreeing to participate in before the experiment is executed. Teachers involved in the project are required to import their class lists into the Computer Science Student Network (CS2N) enabling the research team and the teacher to track all students’ progress. Teachers involved in the project agree to participate in teacher training, implement a pretest and posttest with their class, and occasionally be observed. The research team agrees to support them if they have technical issues, provide them with software, curriculum, and limited amounts of hardware. The curriculum that we are using is the Introduction to VEX IQ Programming - and students are learning to program using VEX IQ robots and the Robot Virtual World (RVW) software. Students earn badges in the RVW software when they complete tasks within the curriculum. Once they have completed programming in the virtual simulation, they practice what they learned using physical robots. All student data is being collected using the Computer Science Student Network (CS2N). The National Science Foundation Changing Culture in Robotics Classrooms project’s goal is to integrate significant computational thinking practices into traditional robotics education curricula and activities. The May 2015 Online Experiment reaches out to over 400 educators that have signed up to receive ongoing notifications about the Changing Culture in Robotics Classroom project. Teachers that participate in this May 2015 Online Experiment will receive free software, automated assessment tools, and an engaging activity to use with their students at the end of the school year. Students that participate in the project will have the opportunity to become better robot programmers and to earn a Carnegie Mellon Robotics Academy Introduction to Programming Certification. My students have a basic understanding of ROBOTC Graphical software language and have completed the Movement, Sensors, and Program Flow sections of the Introduction to VEX IQ Programming curriculum. My students have access to individual computers with graphic cards that enable the Robot Virtual World software to run. That I am able to place the Robot Virtual World software and the VEX Highrise/Beltway game onto my student’s classroom computers. What this experiment will measure? Does the new "computational artifact" badge upload system work at scale.